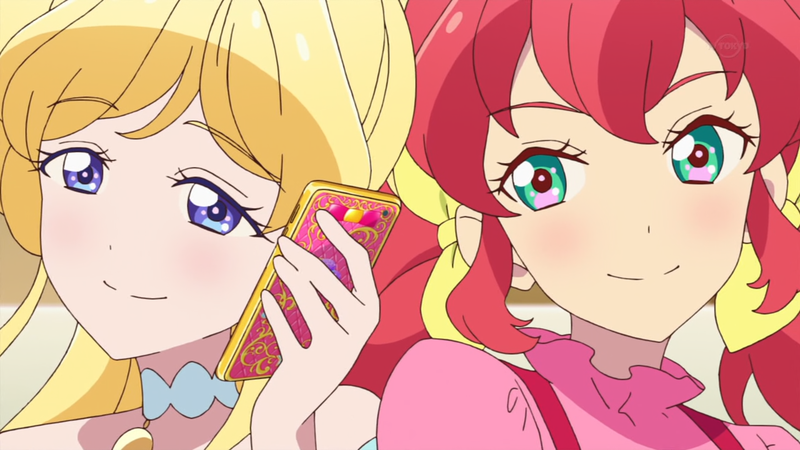 Aikatsu Friends! – 025 | Mezashite! Is this what it feels like to spend the night alone in a hotel with your Best Friend? Oh man, all the pun names. You’ll see how crazy they get when you reach that part of the episode. Unfortunately, it appears that whoever wrote the script (the actual script) made a typo that nobody caught, as Mio accidentally says the wrong word while describing one of the guests on the show. You shouldn’t notice, as I fixed it in the subs. There is some real serious stuff this episode, which I’ll be explaining in a separate post, so look out for that in a bit. In the meantime, please enjoy these multifaceted machinations. Thank you very much. Weird episode. That screenshot, along with that particular caption is just so…suggestive.